First Official Trailer for Legendary’s GODZILLA is Online! New Poster! New Photos! Synopsis! Website! Everything! – SKREEONK! 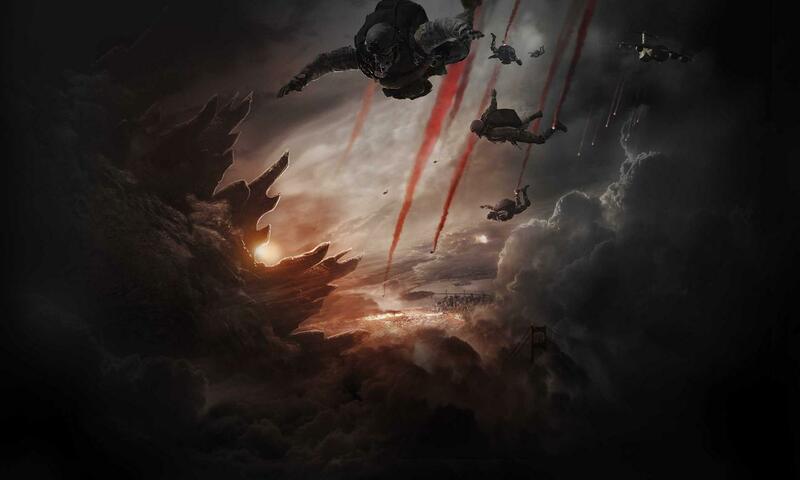 First Official Trailer for Legendary’s GODZILLA is Online! New Poster! New Photos! Synopsis! Website! Everything! I’m just going to jump right into this, my friends. News regarding this film has been at a fever pitch for the past several days, so rather than try to keep up with all of it I figure’d I would contribute with one of our trademark roundups. And what a round up this will be. This entire hurricane of images, websites, and the eventual trailer began with the release of Legendary’s latest bit of viral marketing for the film – all in the form of a clever ‘government security site’ that slowly revealed information (much like their SDCC endeavors from this past summer). This time, the viral site pitted you as a hacker, and you had to type in/decipher codes in order to reveal classified videos, photos, and information. MutoResearch.net not only gave us some incredible information – but it also confirmed the usage of the term MUTO as official lingo within the film. Whats interesting is that this campaign has revealed the term M.U.T.O to be a title for a Military Division (one for which the viral site ‘belongs’ to) rather than an acronym put together by the military used to describe whatever creatures are emerging from underneath the Earth’s surface. More on that later. With that video in mind, where things got really interesting was upon this revelation: Fans began typing in the names of the principal cast. 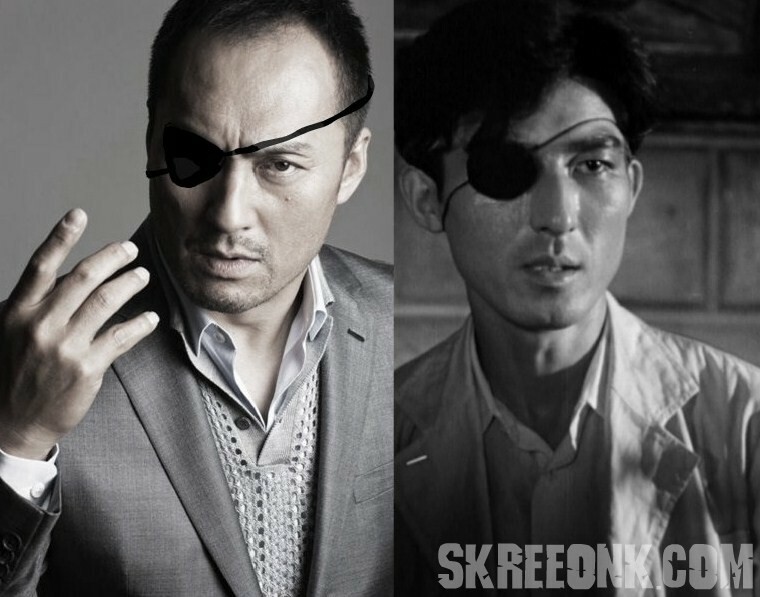 We’ve been told the names of Cranston and Taylor-Johnson’s characters (even their occupations) but upon typing in the previously seen Ken Watanabe – the world was greeted with this phraze: DID YOU MEAN DR. SERIZAWA? For those unaware, Dr. Daisuke Serizawa is the hero of Toho’s original 1954 classic Gojira, and the creator of the Oxygen Destroyer – the weapon that finally defeated the original Godzilla. He was a tortured soul who knew his creation would bring about the destruction of mankind – and to avoid history repeating itself so soon after Godzilla’s nuclear rampage – he sacrificed himself by diving into the ocean depths with the Oxygen destroyer in hand to meet Godzilla head on – killing them both. The image shows Turkmenistan’s infamous burning ‘Door to Hell’, which was first ignited by a Soviet gas company in 1971. They claimed the dangerous gases would burn off in a few days — yet miraculously, it has been burning ever since. Normally accessible to the public, the image is associated with the notes that this remote destination was strangely placed on government lockdown, as the secretive group identified as M.U.T.O. established a heavily-guarded “restricted access area” for undisclosed purposes. This snapshot from a tourist shows emergency vehicles, armed troops and research crews being choppered to the scene. After decades of this mysterious inferno blazing, why is M.U.T.O. getting involved now? This confirms for us that, in context of the film, the acronym MUTO is used to describe a military unit and not a group of monsters. Or will it be both? Perhaps the meddling of this group leads to the creation of said monsters. For now, we can’t be entirely sure. As far as other existing Toho monsters go, if you type in Jet Jaguar, the system spits out: PUNCH, PUNCH, PUNCH! Classic. This made me laugh out loud, but above all showed that the entire team behind this film are fans – and they’re willing to have fun with us and bring in the rest of Toho’s lore instead of simply ignoring it. Too cool. Once the excitement from this site subsided, USA TODAY hit with an interview and some new official photos (our first good ones of the leads, really). The interview, featuring Edwards, hit on some familiar points, as well as addressing the director’s interesting answer to whether or not Godzilla will have an overstated personality. Yet as if that wasn’t enough – they also hit us with this incredible wide shot of Godzilla himself – confirming what we’ve been saying all along – the design we’ve been seeing is THE design for the film! Here are the images and excerpts from the interview below. To read in full, visit the source of the original article at USA TODAY. Keepin’ it classy. It’s Godzilla’s name on the marquee, yet Edwards didn’t want to humanize him or give him too much personality. “To me, he’s like a force of nature, like the wrath of God or vengeance for the way we’ve behaved,” Edwards says. “If this really happened, it would be like Sept. 11. Coming from Monsters, in which he designed — as cost-efficiently as possible — a quasi-futuristic setting of alien creatures taking over Mexico, Edwards is reveling in the big-budget filmmaking that Godzilla offers him. In addition to the original movie, the Monsterland conceit of the 1968 Godzilla flickDestroy All Monsters also plays into Edwards’ film, with its exploration of mankind having to deal with a reality full of huge, deadly behemoths — the director teases that there is more than just Godzilla smashing around. “I’ve just got a secret fantasy — well, it’s not very secret anymore — about living in a world where there’s fantastical things like giant creatures and what it would really be like and trying to take it seriously,” he says. Now all of this is amazing in its own right – but we’re not even done. Today – December 10th – saw the release of not only the first official trailer we’ve all been waiting for, but also an actual (non-viral) marketing website for the film… AND a new Poster! Yeesh! With all of this hitting at the end of the year, expect the first half of 2014 to be crazy with merch and marketing leading up to the film’s release on May 16th. And now the moment you’ve all been waiting for. 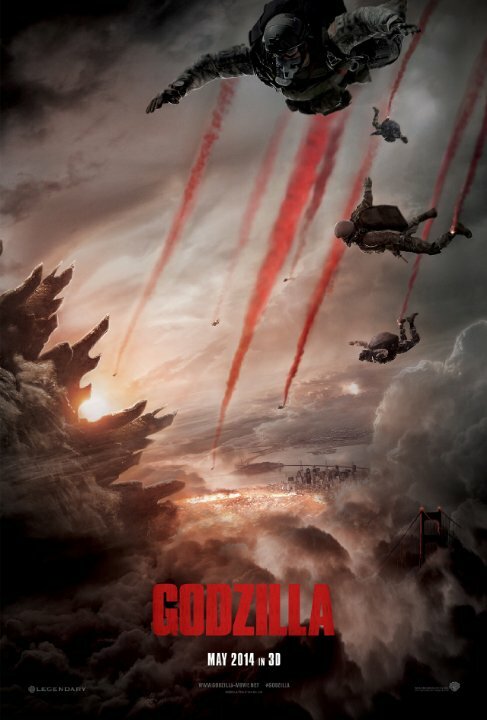 Ladies and gentlemen, I give you the official trailer… In HD… for Legendary’s GODZILLA. And a poster. And a website. And a message from director Gareth Edwards. The official website is now Godzillamovie.com – and I think its safe to say we’re in for quite a film. The suspense this trailer alone is capable of building is palpable on a rare scale. I’m also digging the constant gritty greys and browns that adorns all of their posters – all highlighted by a striking blood red. As always, I am excited – very excited. Let me know what you think here on the site or on our official Facebook Page! Thanks so much for reading and be sure to go see WB’s upcoming The Hobbit: Desolation of Smaug this Friday to check out the trailer on the big screen! Until then, be sure to check out our Legendary’s GODZILLA page here on Skreeonk for all the latest. This trailer filled me with such hope! This isn’t some little lizard running around New York, but a giant force of nature making its way in the world and plowing over Humanity in the process. This movie cannot come out soon enough. If you type in roar you get SKREEONK! Next Post KFM CHRISTMAS BLOWOUT is HERE! Best Deals This Holiday Season!